North London, North West London, Central & West London. Please visit my website www.fromtummytomummy.co.uk for more details or feel free to contact me for a free initial meeting. 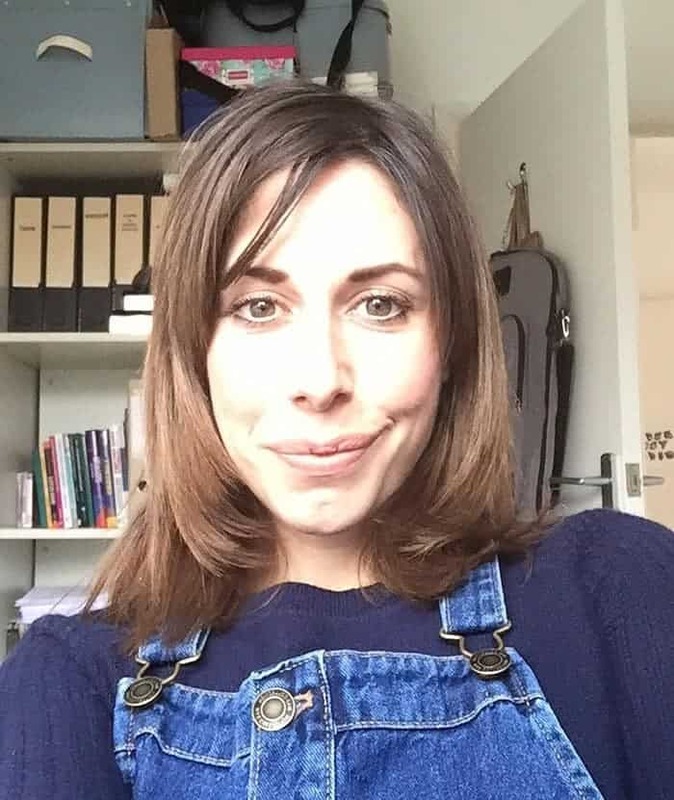 My name is Lauren Mishcon, I live in North London with my husband, three young sons, Max (born in 2004) Zak (born in 2006) and Joshua (born in 2013) and an energetic Springer Spaniel. I started my working life in a West End actor’s agency before becoming a mother. Giving birth for the first time had a profound effect on me and since then I have felt a strong desire to help other women achieve their own empowering, positive birth experiences. After hearing a programme on Radio 4 about the role of doulas I realised this was the way I could best support women on their journey from ‘tummy to mummy’. In 2007 I completed my training and became a Recognised Birth Doula with Doula UK. My philosophy is that there is no right or wrong – childbirth just happens! and being open to the process and feeling informed, safe and secure enough to let go is the best way to achieve a positive birth. My ideal scenario is for a woman to labour in a safe, quiet environment of her choosing, with as few distractions and disturbances as possible. My aim is to make sure she feels safe and informed at all times and that she and her partner are continuously supported throughout. As well as working as a doula, I am the Editor of Doulaing Magazine. I have written freelance about birth for Juno magazine and others and I was the Doula Expert for Pregnancy & Birth Magazine from 2009-2011. 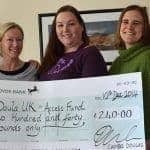 In 2014 I became a Doula UK Birth Doula Mentor. September 2007 – completed the birth and postnatal course with Nurturing Birth. It covered all aspects of birth, postnatal care and breastfeeding. September 2007 – Water Birth Study Day at The Active Birth Centre with Janet Balaskas – the leading pioneer of Active Birth and Water Birth. January 2008 – homeopathic study day at the Chaim Centre in North London with Nicola Berman & Malgosia Zamolska-Settles which focused on using remedies to help pregnant and labouring women. April 2008 – completed my ongoing recognition process with Doula UK and was awarded ‘Recognised Doula’ status. I live in North London with my husband and 3 sons – Max born in 2004, Zachary born in 2006 and Joshua in 2013. They were all natural births and extremely positive experiences. I have always been interested in childbirth, babies and children. I worked as an Actor’s Agent in the West End before deciding to leave this highly demanding job after having my second son. My childbirth experiences changed me profoundly. I felt so empowered, happy & proud about my births, yet seemed to find myself a minority in this. I became disheartened hearing so many women share their disappointment surrounding their birth stories. So, instead of returning to my job, I decided to follow my passion and decided becoming a Birth Doula would fit into my lifestyle and be the best way to help other women achieve the positive birth experiences they deserved. My own childbirth experiences were the soul defining moments of my life. I would love to enable other women make those same wonderful personal journeys and help them achieve the best childbirth experience they can as well as feeling empowered to make their own choices in childbirth. My philosophy is that there is no right or wrong – childbirth just happens! and being open to it and feeling informed, safe and secure enough to let go is the best way to achieve a positive birth. My ideal scenario is for a woman to labour in a safe, quiet environment of her choosing, with as few distractions and disturbances as possible. My aim is to make sure she feels safe and informed at all times and that she and her partner are continuously supported throughout. As a Birth Doula I charge an agreed amount for my package. This includes: – A free initial meeting to give us a chance to talk face to face and see how we ‘click’. – 2 further antenatal meetings – unlimited contact by phone / text / or email for the duration of the pregnancy and post party’s period. – A 24 hour a day ‘On-call’ period from weeks 38 of pregancy (2 weeks before due date) through to weeks 42 (2 weeks post due date) where I will never be more than 1 1/2 hrs from your home. – Attendance during labour and birth at home and/or hospital until the baby is safe in your arms. – a postnatal visit to de-brief and help with feeding or any other issues. I also provide separare ante-natal sessions for parents to be who do not want a birth doula but would like to go over preparations and talk through any worries. As a Birth Doula I have attended births at a wide variety of London hospitals and have experience of natural, VBAC (Vaginal Birth After Caesarean), instrumental deliveries, water births, caesarean sections and home births. I have attended births, which have involved T.E.N.S, Entonox (gas and air), Pethadine and Epidural. “Thank you so much for your invaluable help at the birth. I feel so lucky to have the labour experience I hardly dared dream I would have especially after a c-section. I have little doubt that your presence and advice (& hugely calming influence) enabled me to have such a quick, smooth, uncomplicated time of it”. “It was great to always have someone trusted with me and close by. She was reassuring and calm which helped me remain calm throughout”. __Lauren was amazing ! She helped me through a painful car journey to hospital giving advice on positions and breathing. Whilst in hospital she encouraged, supported, massaged and offered me help in achieving my birth plan as closely as possible. Lauren was absolutely fantastic and I felt comfortable with her from the first time we spoke. She is very enthusiastic and is a wonderful doula !_Ѓґ.